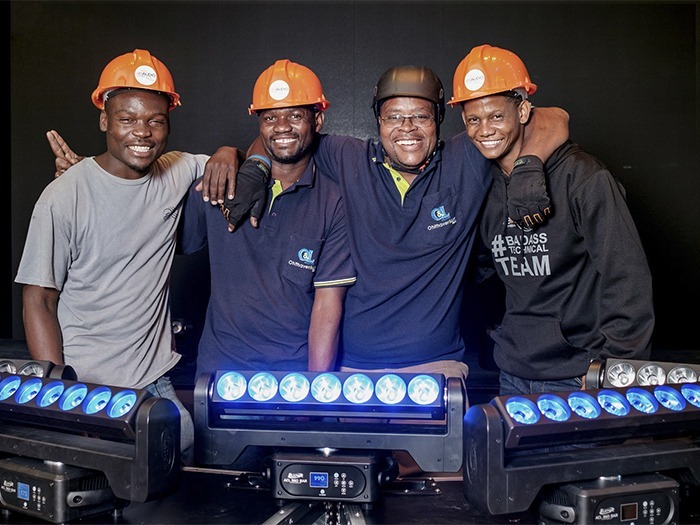 Rental company dB Audio Namibia has been associated with the Mwenyopaleka Employee Engagement Roadshow for the O&L Group for years. This year they turned to Elation Professional’s dynamic ACL 360 Bar effect to give the show a more modern, futuristic look. “The Mwenyopaleka roadshow aims to remind all employees that regardless of the operating company they work for, they all belong to the greater O&L family,” explained Ernst Steynberg, Corporate Communication Manager at dB Audio Namibia. “It’s all about personal realization and development and how that translates into professional growth.” O&L is Namibia’s largest private employer and operates companies that span industries from food production to retail trade to leisure and more. This year, dB Audio Namibia was responsible for the technical translation and realization of the roadshow concept and event content. 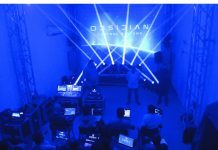 The addition of the Elation Professional ACL 360 Bars provided the setup with the futurist look required as briefed by the event producer. On the market for three years now, the colour-changing RGBW batten with continuous rotation has proven a diverse fixture that looks great as a blade effect, eye candy effect or even as a single LED pinspot and can add an element of dynamism to any show. After 14 years, this was the final year that O+L has used the innovative edutainment format to keep their employees connected to the O&L purpose. 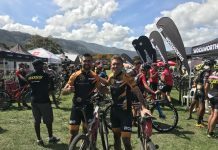 “dB Audio Namibia has been privileged to share most of this journey with O&L and we excitedly look forward to what the future holds in store,” Steynberg concluded.